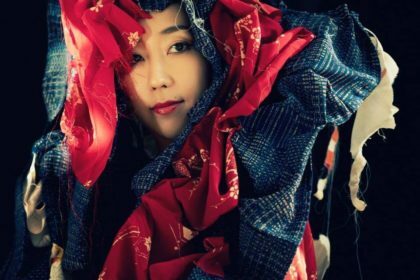 Synthpop artist Tentenko has been busy in her own particular technicolor world of music for a number of years, a journey which has resulted in this new eponymous album venture which showcases a variety of pop flavours. 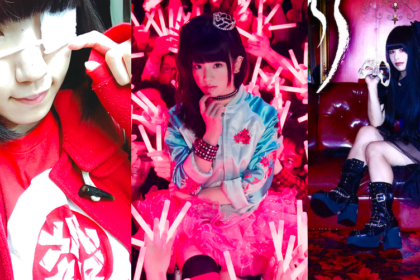 Tentenko was briefly a member of underground idol outfit Brand-New Idol Society back in 2013. 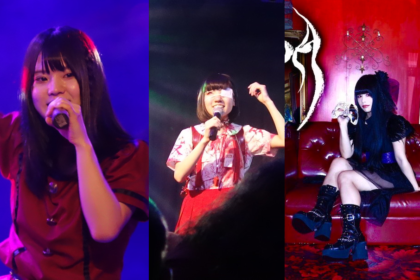 Tentenko’s tenure in BiS saw the group joining forces with Dempagumi.inc and the outfit also formed BiS Kaidan (a collaboration between BiS and noise band Hijokaidan). 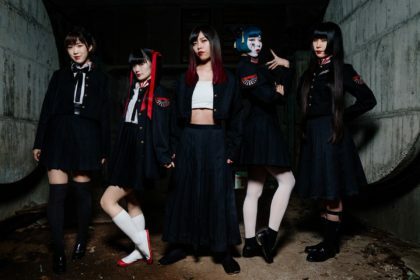 That incarnation of BiS disbanded in 2014 with the various members, including Tentenko, going on to pursue separate musical projects (including Megumi Koshouji, who would go on to form Maison book girl). Tentenko, meanwhile, went on to collaborate with the likes of Toshiji Makawa from Hijokaidan and visual artist/sound performer Atsuhiro Ito. That spirt of collaboration with other artists is also evident on this, her latest album, with some surprising names coming up in the mix. The album kicks off with the easy pop of ‘Kiken Na Highway’, whose unashamedly retro arrangement features synth boops and sax stabs. 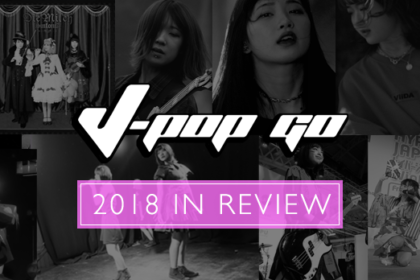 ‘Good Bye, Good Girl’ continues in a similar fashion with its Shōwa-era pop stylings, along with nods to YMO appearing here and there. The track also has something of a grim influence with its inspiration taken from an infamous and unsolved murder case. It’s something that lends the lyrical content a darker element (“Diary filled with dreams/where have you gone?”). There’s a more jaunty aspect to ‘Jiro’ with its bouncy percussive elements. It’s a more stripped-down affair than the other tracks on the album, but retains a charm all its own. 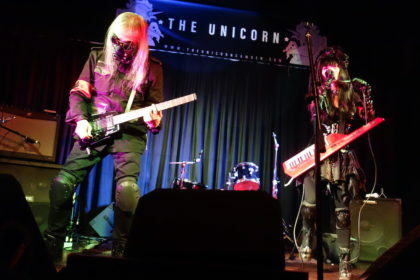 ‘Hoshi No Densha’ (Star Train) provides one of the more intriguing collaborations on the album, with the music being penned by Logic System. Often referred to as the fourth member of the iconic technopop outfit Yellow Magic Orchestra, Hideki Matsutake’s solo project Logic System would craft its own reputation as a pioneering outlet of Japanese electronic music. There’s certainly an unmistakeable shimmering quality at work on this track that seems to pull directly from the polished compositions on the 1982 Logic System album Logic. It’s a softer approach that also offers up an evocative vocal from Tentenko and some engaging imagery from the lyrics (“Silver rain, the thing coast/of a sweet old town”). ‘Hokago Sympathy’, which sees Tentenko collaborate with DNA System, offers up a harder electronic composition in this tale of an unrequited school romance. . At times sounding like Polysics, it’s got a busy multi-layered approach which delivers a frenetic electronic collage (reflected by the bonkers video that accompanies it). Elsewhere, the album features Japanese musical legend Shintaro Sakamoto lending his talents to the engaging surf-pop of ‘Nantonaku Abenai’. The album also features a cover of Ikue Sakakibara’s techno-kayo 80s hit ‘Robot’. Here, the shimmering synths offer up a warm slice of indulgence which provides the perfect closer. The release of this album also reflects the work of Toothpaste Records, a UK-based label keen to showcase Japanese artists on a series of vinyl releases. It’s a new venture for Johnny Hartford from London-based independent record store Sister Ray in collaboration with Phillipe Boehm, founder of Tokyo-based label and design studio Alegori. In the case of Tentenko, the album comes in a visually striking sleeve whose pink themes extend to the colour of the vinyl itself. The sleeve also provides lyrics in both the original Japanese as well as English (for those that favour digital tunes, every copy also comes with a handy code to download a digital version of the album). Tentenko is an album that’s going to please enthusiasts of the underground idol scene as well as those with an ear for an earlier period in Japanese musical history. But essentially it’s an album that features some engaging pop tunes, which is going to win over everyone. Tentenko is out now on Toothpaste Records.